The Cool Quest were one of my favourite gigs of 2016 (and I went to a lot that year). 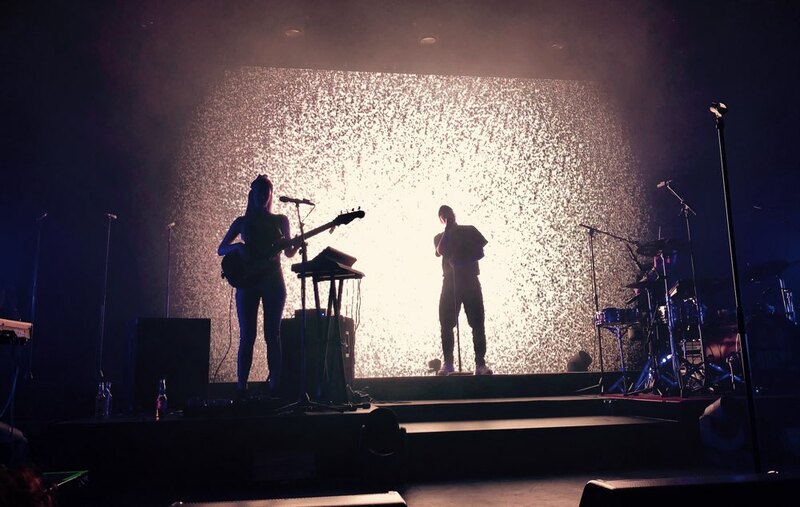 They released a new track “Runnin'” in the autumn of 2017, and then followed up with two more singles in the lead-up to the release of their second album VIVID last week. As soon as they announced they were playing a special album launch gig in their home town of Zwolle I bought a ticket. Zwolle is about an hour and twenty minutes away by car, depending on traffic, but I figured it would be worth it! I left the house a little later than anticipated, but I still made it to the venue by 19:45. This was, of course, far too early. I had seen the venue’s timetable of “Doors 19:30, show 20:15” but missed the bit about the support act. When I got there, a DJ was playing music in the foyer with around 20-30 people milling around — all of them reluctant to be first into the completely empty auditorium. I don’t know if this is commonplace at Hedon, but it was new for me: around 20:15 an actual human promoter/MC came on stage and introduced the bill for the evening, including opening act De Alliantie. 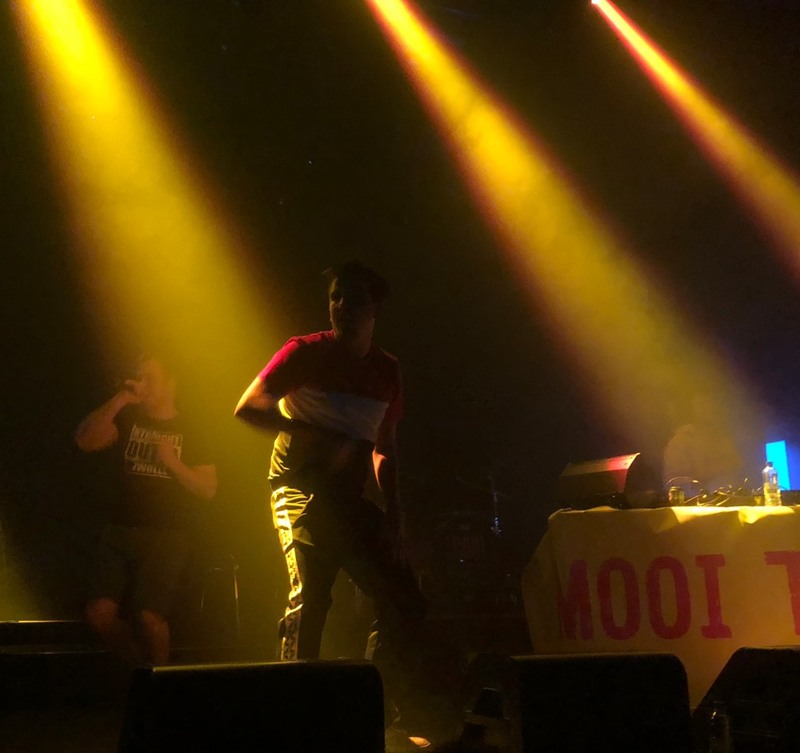 They’re a local (to Zwolle) hip-hop trio with a decent following in the Netherlands, and a second album (Mooi Toch) under their belts as of February. 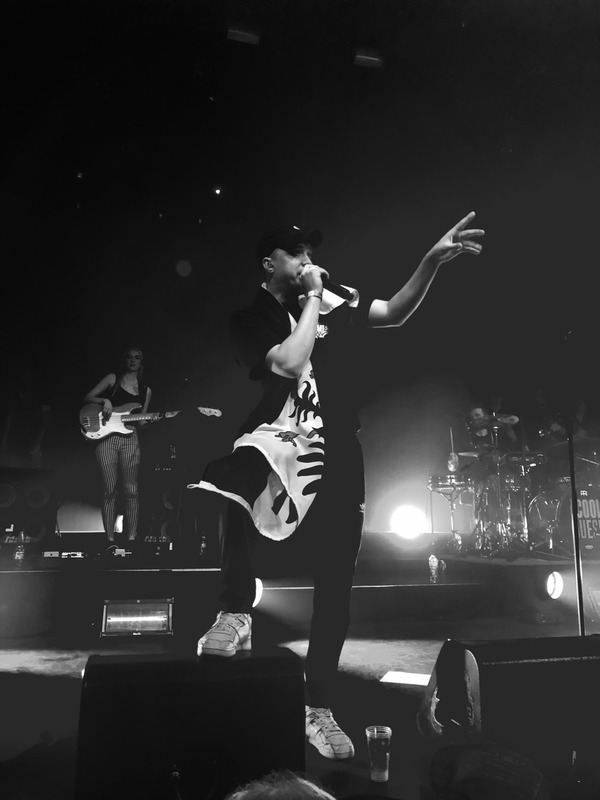 They played a 9-song set of their fun-time rap with a lot of gusto. Not quite my thing, but they’ve got good stage presence, and their enthusiasm was infectious. I don’t think the venue was completely sold out, but by the time the MC brought them on stage, it felt nicely packed. (Aside: if I ever get arrested at a gig, it’ll be because I finally boiled over with rage at getting there nice and early to secure myself a good spot close to the stage, and then having loud and tall latecomers elbow their way right in front of me, congratulating themselves on managing to get to the front.) 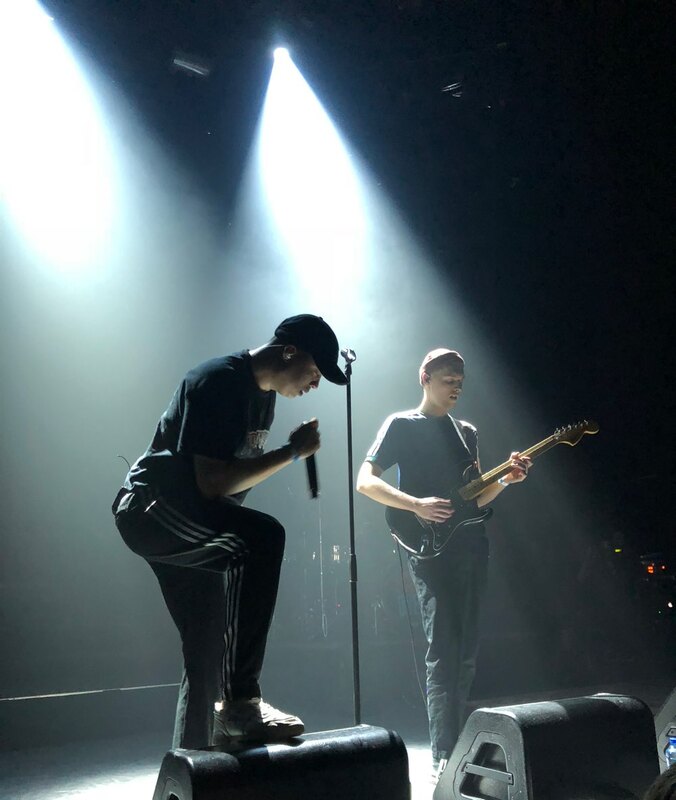 The MC made a big deal of how they fit into the small space at Hedon when they launched their first album, and now they’ve moved up to the next level. The main stage at Hedon is much bigger than that of the Oude Zaal at Melkweg where I saw them last time. This gave them a big light display behind them to play with, and it gave frontman Vincent a lot of space to move around in, but it also made the band members seem more spread out and more isolated. Don’t get me wrong — the band is tight, and that’s one of the things I love about them. They’re not just playing beats for Vincent to sing and rap over. They are seriously musical, and to my ears the vocals are “just” the fifth instrument in the group. 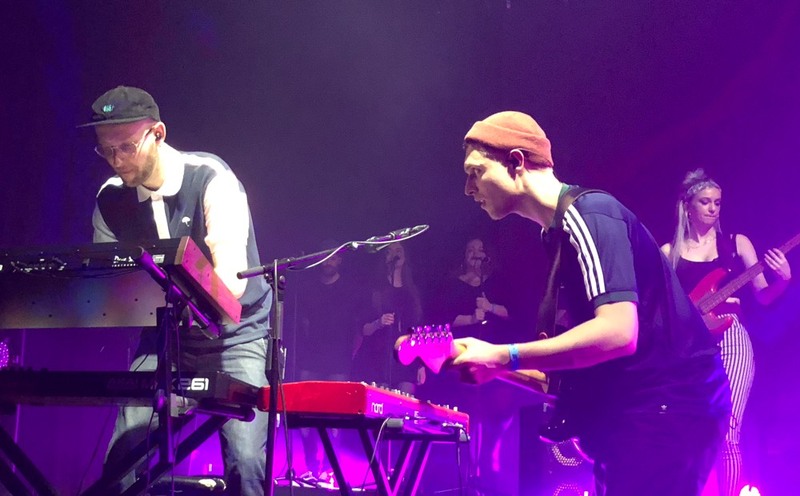 (I would happily watch Vadim Neef on guitar and Sander Moorlag on the keyboard play off each other all night.) Maybe I’m just nostalgic (already) for the time when they were still playing smaller venues. 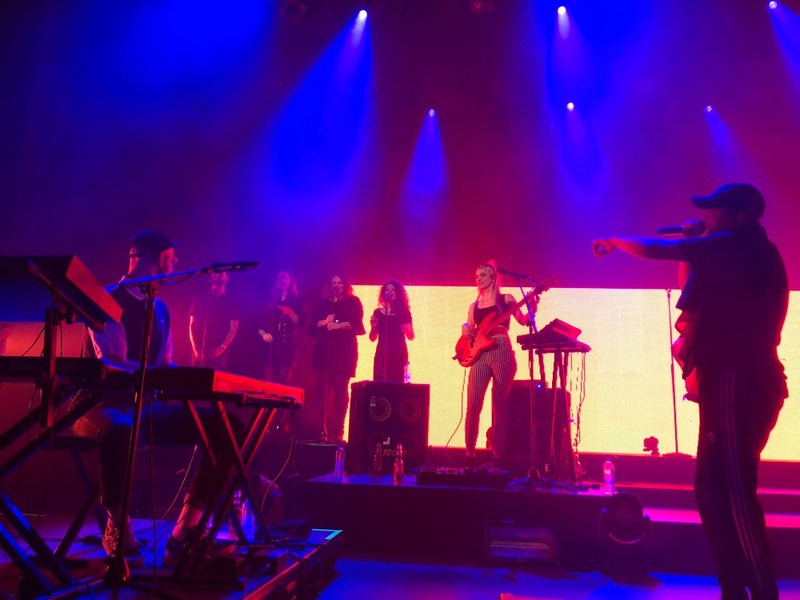 They started with last year’s lead single “Runnin'”, and played through most of the new album, with a few old favourites thrown in. 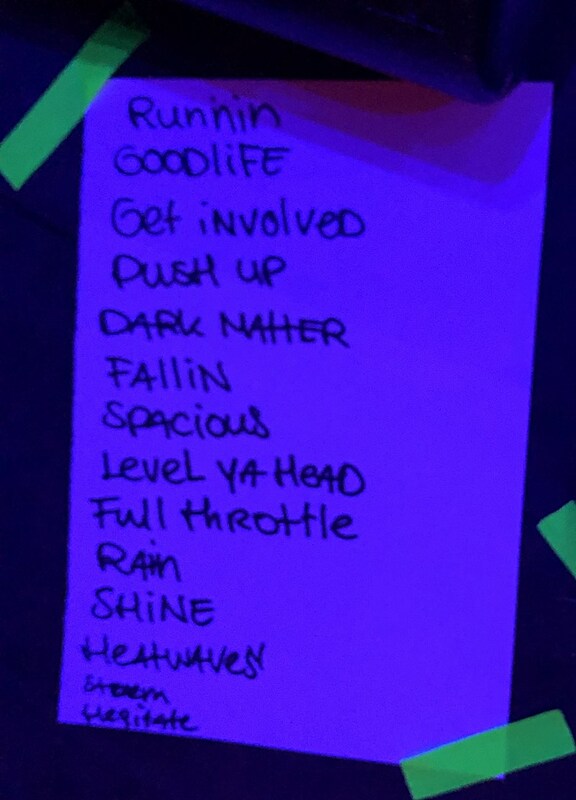 Some of the new songs (“Spacious”, “Level Ya Head”) they were playing live back in 2016 already. And every song they play is different and more elaborate than the recorded version. I really get the impression that they build their music first and foremost to be played as part of a show in front of an audience. The recordings are fantastic, and will get them streams and downloads, but the full live Cool Quest experience bursts with ten times the energy. 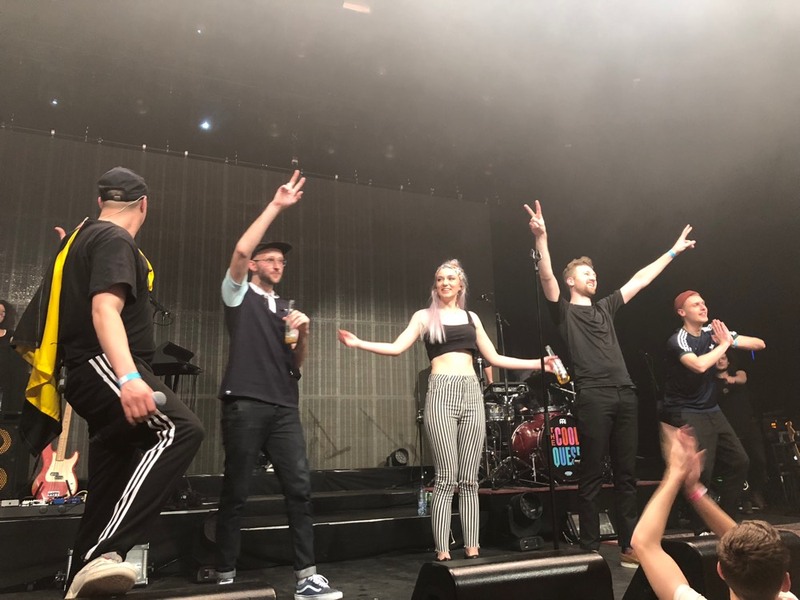 Because this was a special occasion, after the main set the band took a short break and came back on stage with four backing singers and four horns to fill out the lineup as The Cool Quest XXL. The backing vocals and horns feature prominently on their current single “Storm”, and they sounded great live. 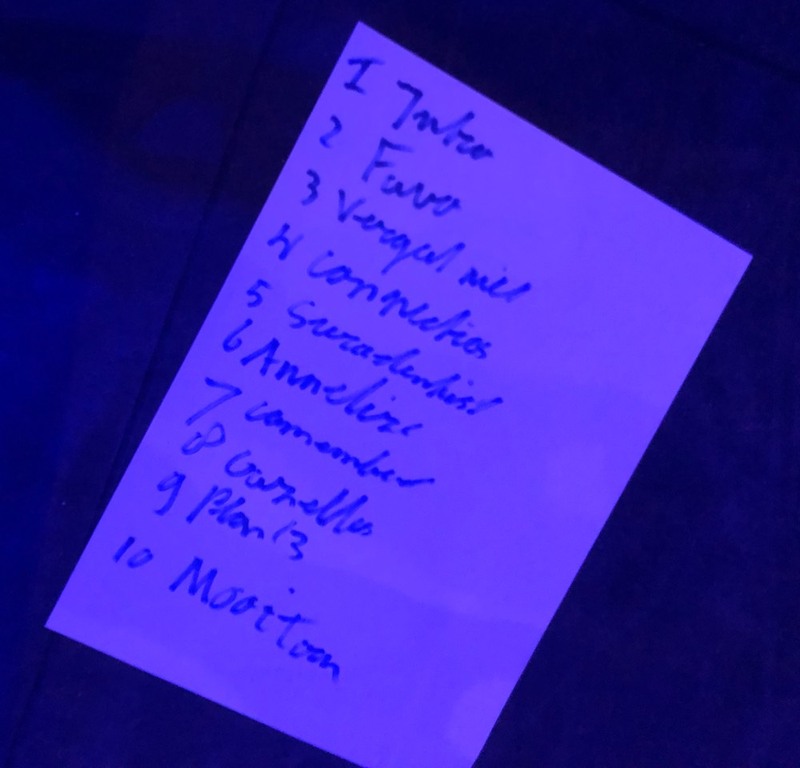 The encore is where the band go wild and really extend every song, giving every musician a turn in the spotlight and a chance at a solo (or two, or three). The downside of going to see a gig so far away is the drive back afterwards, and not being able to have a wee drink during the show. Worth it, though. 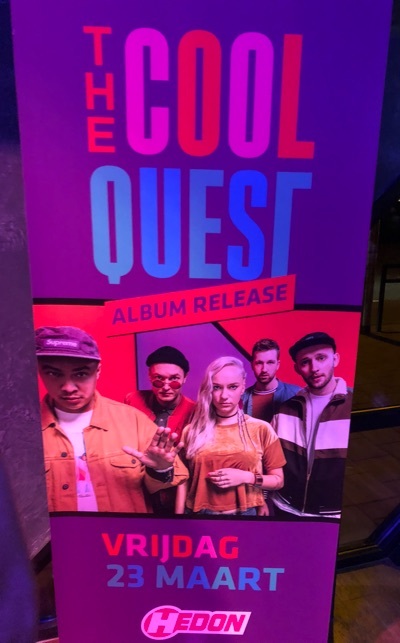 If you get the chance to see the Cool Quest near you, take it.